We know that not everyone would like to believe in the benefits of Ayurveda. If you’re reading this, you’re probably already a believer of Ayurveda and would like to showcase its benefits to the people around you. Take a look at these Ayurvedic practices and fun ways to get people interested by infusing Ayurveda in their daily routine. Before you decide to introduce someone to an Ayurvedic lifestyle, it’s very important that you help them understand Ayurveda from the roots. Ayurveda believes in a holistic way of living. It started to take form almost 5000 years ago when Indian monks and vaids were looking for alternative ways to a healthier life. The vaids believed that meditation, eating right and a holistic, natural lifestyle could help them preserve their health. Ayurveda is based on the principle that prevention of an illness altogether is a better approach than curing an illness after being infected. Ayurvedic wisdom lies on the concept that our body constitutes of three different doshas or biohumors: Vata, Pitta and Kapha. Every person has one of these three doshas in dominance as compared to the other two. This constitutes a person’s body-mind type. In order to live a healthy life, all three doshas must be well balanced. If any one of the three doshas are aggravated, it can cause illness or other complications. 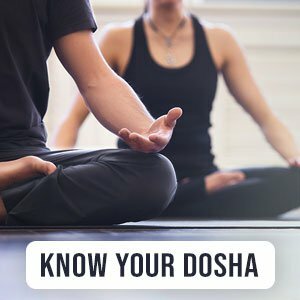 Click here if you don’t already know your dosha. Schedule a walk with them. According to Ayurveda, walking is a tridoshic exercise and balances all three doshas. This will prove to be beneficial for them irrespective of their dosha. The best part is they will be able to tell the difference in less than a week. Make them lunch with fresh and healthy foods. You can surprise them by making them a healthy meal. Try to include healthy foods like fresh veggies. You can even quirk things up by making them a healthy hummus dip with carrot and cucumber sticks instead of pita bread. If you plan on cooking chicken or fish, try baking or grilling instead of frying. They are bound to love it. According to Ayurveda, your digestive fire is at its peak between 12 p.m. to 2 p.m. Try scheduling a lunch date around this time and surprise them with the meal you cooked for them. Try gifting them a box of herbal teas. Ayurvedic, caffeine-free herb teas are great metabolism boosters. They are perfect for relaxing and work as a great detox. Encourage them to sip on these every now and then while at work. Try to schedule an Ayurvedic massage date. Ayurvedic essential oils are warmed and rubbed all over the body. This helps relax the muscles and releases negative energy. They will definitely end up feeling relaxed, calm and energized after the massage. This would be the ideal time to speak to them about the benefits of Abhyanga or self-massage.